Orange is the New Black 16 oz Plastic Cold Cup with Lid & Straw. Hand wash only, not microwave safe, BPA free. 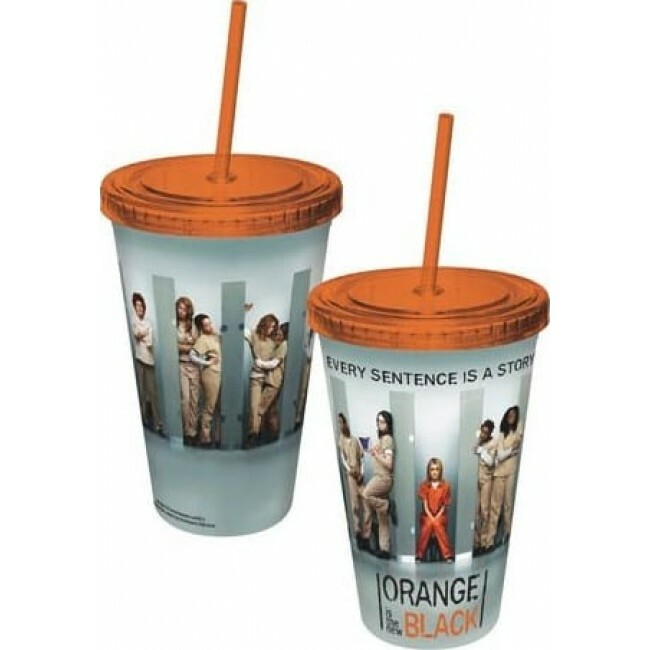 Throw your pie over the Orange is the New Black 16 oz Plastic Cold Cup with Lid & Straw! Hand wash only, not microwave safe, BPA free.